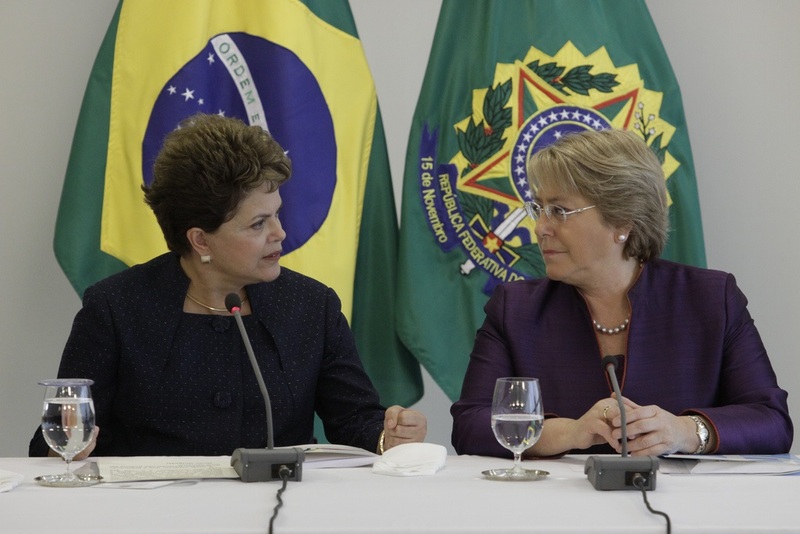 I appreciated Luciano Melo’s analysis of the challenges facing Michele Bachelet and Dilma Rousseff due to accusations of government corruption, but have a correction and a comment. First, it is incorrect to identify Brazil as the sole stable democracy among the BRICS. India became a parliamentary democracy in 1947, under Prime Minister Jawaharlal Nehru, and has been so ever since, excepting 21 months in 1975-77, when PM Indira Gandhi ruled by emergency decree—before submitting herself to elections once again (which she lost). South Africa became a democracy under President Nelson Mandela in 1994. Second, the Brazilian President’s situation worsens hourly. Yesterday the PT treasurer, João Vaccari, was “preventatively detained,” on the rationale that he might attempt to hide evidence were he allowed to remain at home pending investigation. More importantly, and also on April 15, the leaders of all of the major opposition parties (PSDB, PPS, DEM, SD, and PV) announced that they were “unifying their discourse” in Congress about the possibility of opening impeachment proceedings against Dilma. The PSDB, party of losing presidential candidate Aécio Neves, also announced it will soon unveil new legal evidence (showing that the Controller General, CGU, similar to the US’ GAO, intentionally delayed opening one bribery investigation until after the 2014 election) that may be sufficient to open a case against Dilma. With the latest economic predictions for 2014 of negative growth of 0.9 percent, and inflation of 8.2%, it is not surprising that popular support for impeachment is well over 50 percent. Astute political commentators, however, point out that opposition parliamentarians may calculate that they’d be better off letting the government struggle along until closer to the next regularly scheduled elections. Just a quick comment on Leslie Armijo’s very thoughtful comment: in the process of editing Luciano’s draft I inserted the clause about Brazil’s being the sole stable democracy among the BRICs. Obviously, that is entirely incorrect, as Leslie points out. My apologies for the error, which I attribute to my trying to work on too many documents simultaneously!